One of the best iPhone accessories for my iPhone 3GS is my 13″ MacBook Pro. You might recall that I previously bought a unibody MacBook, but I ended up giving that as an Apple hand-me-down to my wife (she’s the lucky recipient of all my “old” Apple goods hehe). Anyways, with the advent of so many websites requiring logins, remembering all your passwords in a secure way can be difficult. This is when 1Password 3 for Mac comes into play. 1Password 3 is the latest update with a huge number of new features that builds on the already successful 1Password 2 (we gave away a FREE copy last year!). What Makes 1Password 3 So Special? 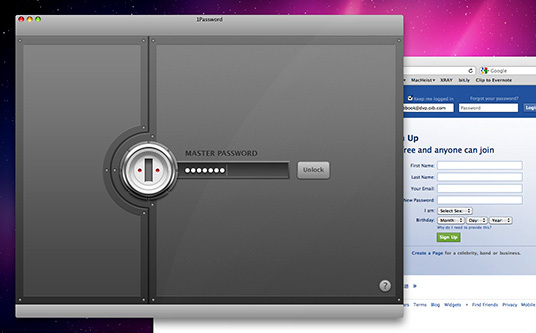 What I love about 1Password 3 and its new features is that the program is still very simple and easy to use. It works amazingly well for storing all my logins, wallet items, and special notes right within 1Password. The search works incredibly well for finding logins and if you’re constantly forgetting passwords or resetting them via email, 1Password is a must for you. 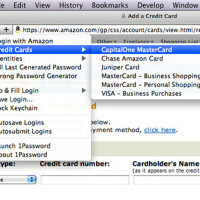 Moreover, you can create “Identities” for quick auto-filling of pages that require registration and also store credit card identities too. 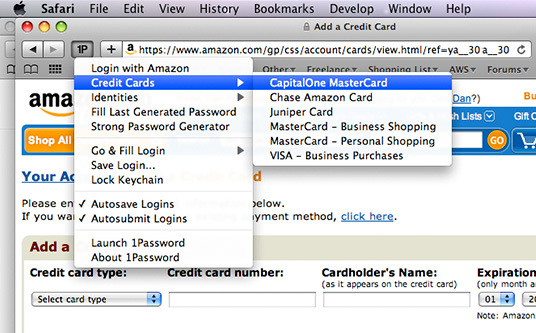 This makes it easy when filling out forms for shopping online and filling out the credit card info. I can’t remember the last time I reached for my wallet to get my credit cards. 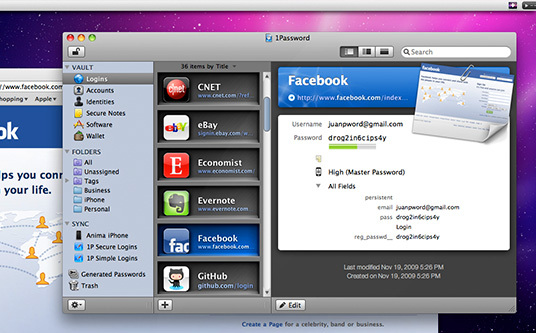 Syncing 1Password with multiple computers is very easy through using a variety of services, one being DropBox. You can store your backups to your DropBox, so if you’re using 1Password on multiple Macs you can rest assured your logins etc will always be synced. 1Password Pro for iPhone/iPod Touch is Currently FREE! Syncing with your iPhone is very easy. You can do so via WiFi and once completed, you will have all your logins, etc with you. It’s really indispensable when you’re on the road without your Mac. 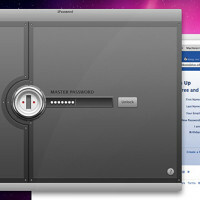 Currently, 1Password Pro is on sale for…FREE! The regular price is $7.99 but it’s being given away for free by the Agile team as part of their 1Password 3 celebration and for American Thanksgiving. Get this Pro version for free while you can (till Dec 1)! How cool is that?! The Agile team is extremely quick in releasing updates. 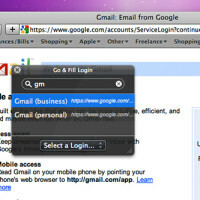 1Passwords supports extensions for all current browsers. If you have any question, their support team is quick to respond via email and twitter. Since Agile is based in Canada, you’re also supporting a Canadian company! These guys take their business seriously and it shows! They have a passion for their work and really do strive for making Â the best password manager out there! I can’t stress enough how much I love the latest 1Password 3. The rock solid, secure interface for storing all your logins and other essentials is just priceless. Gone are the days of writing down passwords and logins on sheets of paper beside my desk. 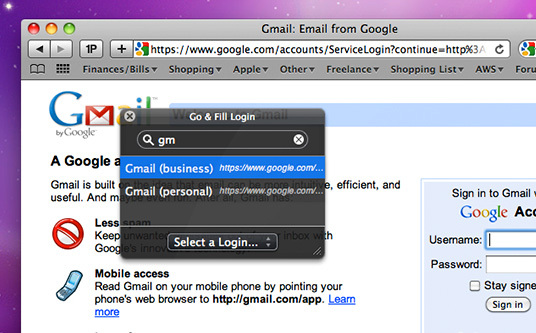 Computing is now a breeze thanks to 1Password’s easy to use interface. I always recommend 1Password to any new Mac user. I can’t imagine life without it! 1Password 3 retails for $39.95US. It’s an extremely worthwhile investment that will pay for itself. There’s a 30 day money back guarantee so you have nothing to lose if you don’t like it. 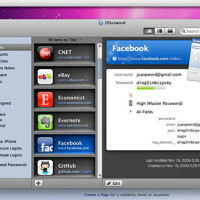 If you purchased 1Password 2 after Feb 1st, 2009, the upgrade is free! If you bought before this date, you can purchase 1Password 3 at a discount. With the Early Bird discount, you can upgrade a Single User license for only $19.95 (save 33% off) and a Family license for $29.95 (save 40% off). It’s only good till December 1st, so don’t delay if you’re considering the upgrade. Click here to buy 1Password 3 today! ZAGGskins 50% Off Sale! November 24-30 Only!